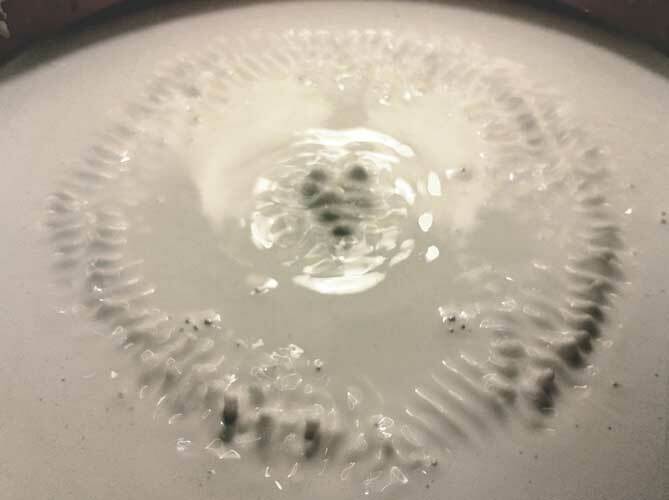 This project involves cymatics, the science of passing sound through liquid to reveal beautiful geometric patterns. The medium here is liquid porcelain. 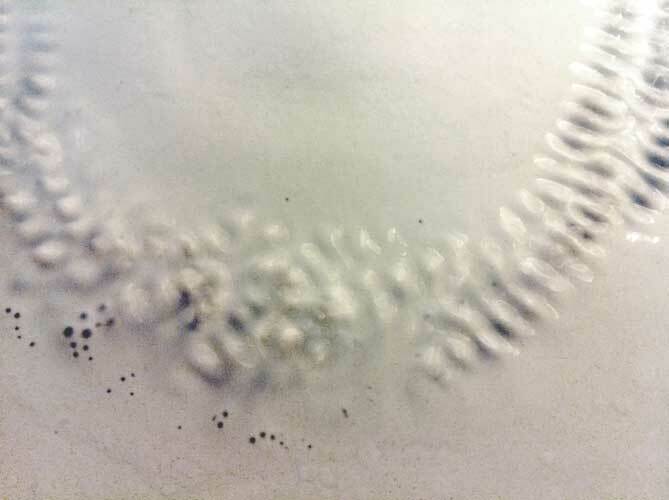 The ultimate piece will solidify particular frequencies in fired porcelain. 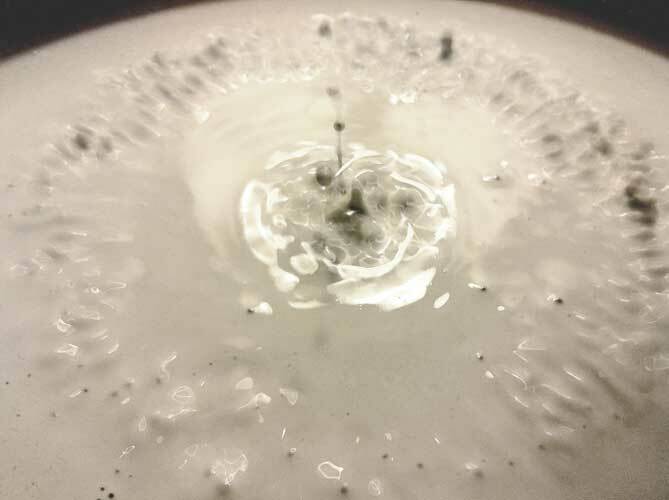 In the video the liquid porcelain is mixed with a spattering of magnetite powder. Live double bass sound provided by Chris Meads.